Keep your team and sales numbers boosted with these custom car chargers! Power up on the go with personalized ease. Custom phone chargers are the most direct way for reaching your target audience because no one wants to be stuck with a dying battery. 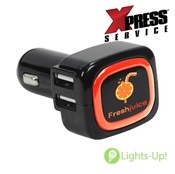 Custom phone chargers—and other USB equipped portable devices—offer great promotional and practical value! 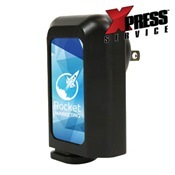 These chargers all offer excellent charging performance and large print spaces perfect for your company’s logo. Get your name out there easily with these personalized phone chargers!